In addition to regular dental care, Serbian dentists can perform a wide range of the most complex interventions. Dental treatments performed by our dentist are guaranteed for life, with condition that the patient follows properly the instructions concerning the oral hygiene maintenance. Our dentists are great experts in all dental specialties, with high international reputation. All dental offices and laboratories are fitted with the latest technology and fulfill all health and hygiene standards. We pay utmost attention to our patient’s needs, their health and safety. All our patients are informed in advance about the dental treatment they are going to get, alternatives and prices. Nothing is done without patient’s consent and his complete understanding of treatment. Whether you require dental implants or some other chirurgical treatment, dental crowns, dentures, or just whiter teeth, we can provide you with the best quality. Your dental care is in the good hands with us. You can relax and enjoy your dental vacation in Belgrade and make significant savings at the same time. 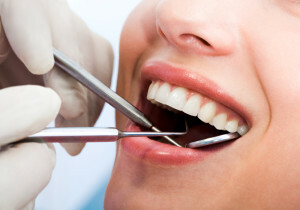 We offer you explications of dental procedures frequently required by our patients. You may read it by clicking on the left side on the treatment you are interested in. If you need some complementary information, feel free to contact us and our coordinators will gladly answer to all your questions.